Makeup Brushes are now a beauty essential and I definitely have my fair share of them. Some are cheap eBay finds that I love but don't mind replacing with age. Then I have a selection from Real Techniques, Zoeva and Sigma brushes that I cherish and want to use for as many years as possible. With good care quality brushes can last a long time so here are my suggestions and tips for caring and cleaning your most treasured makeup brushes. My main tip for looking after makeup brush is to take them out of your makeup bag and place them in a pot. I'm sure most of you do it but it's easy to let the odd few that you use often slip back into my makeup bag for ease of finding it. You can use any jar (kilner jars look good) tub or pot, but I like to find toothbrush holders without any kind of lid as they come in a wide range of designs, Asda are really good for them and they cost £3. However in the past I've re-purposed Ikea Skurar Metal Plant Pots to hold all my brushes - you can find that post here. Basically you just don't want them in your makeup bag getting damaged over time! Over time larger brushes can lose shape and just look too splayed out. This is fine for cheap and cheerful brushes but some brushes I feel are more of an investment that you want to keep as good as new for as long as possible, so for these brushes I like to use Brush Guards. 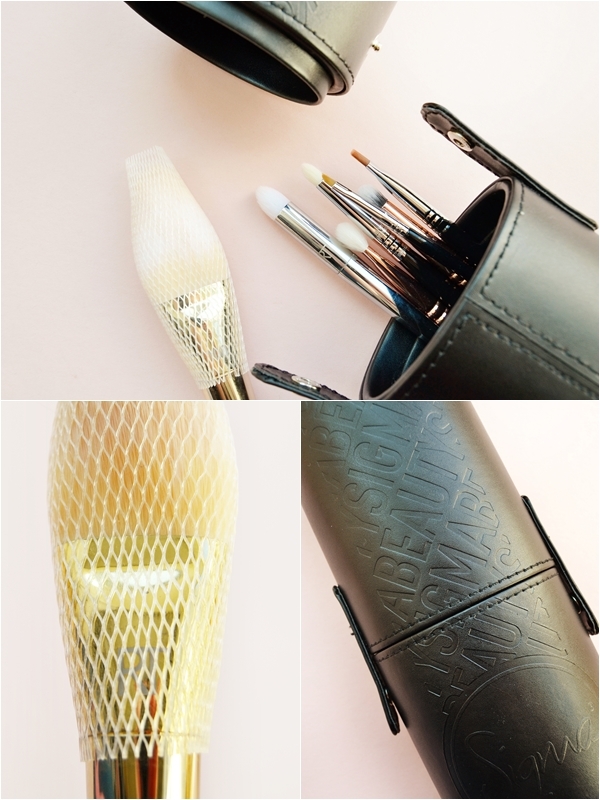 These breathable woven sheaths slip over the brush handle and up covering the bristles keeping, this means you can pop them onto your favourite brushes as they dry but actually stand the brush bristles down so water runs away from the ferrule and keeps shape as it dries. They can also be used when travelling to keep brushes a bit more protected. I always go to eBay for my brush guards - 30 for 99p from China here or 10 for £1.99 from UK here. Talking of travel it is tempting to just throw your makeup brushes into the cosmetic bag you are taking with you but even with brush guards if you pack your bag too full you can find them brushes squished in there getting damaged. Your best option here is to invest in a brush roll or holder that will keep your brushes in pristine condition and not like what happened to me one holiday when I found a lovely Real Techniques brush snapped and wobbly in my bag. An affordable and pretty wipe clean brush roll is one from The Vintage Cosmetics Company for £10.00 and it holds 12 brushes online here or for a more sturdy option that also can be used as two holders, great for on holiday, is the Sigma Brush Cup Holder £25 Look Fantastic here - this may be more of an investment but worth it as it will totally protect your brushes and can be used to hold your brushes even when not travelling. 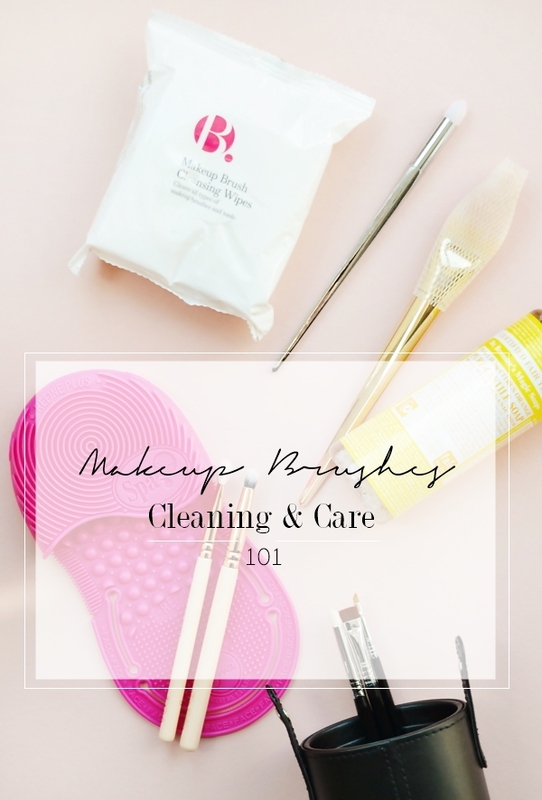 Cleaning of course is a must for makeup brushes as within days, especially with face brushes they will be harbouring bacteria that you just don't want to be putting on my face, especially if you are prone to blemishes. I find spot cleaning after doing my makeup to be the best way to keep them free from holding too much makeup in the bristles and quickly sanitising them. My favourite way to do this is with the B. Makeup Brush Cleansing Wipes £3.99 Superdrug here, the only wipes I've seen on the high street for this purpose! These quickly clean my brushes before I do a weekly wash of them. As I mentioned, thoroughly cleaning makeup brushes is a must and over the years I've tried so many ways of washing them and with different soaps. You could of course simply wash them in the sink by hand with soap and water but for me I find it a slow process and drying to my hands... so that's a no-no! My favourite way now is to clean them with Dr Bronner's Liquid Soap, you literally only need a drop, and a brush mitt. For years I used a simple silicone oven mitt (£2.19 eBay here) which keeps the hand dry and the grooves to the glove do help to clean the brushes. 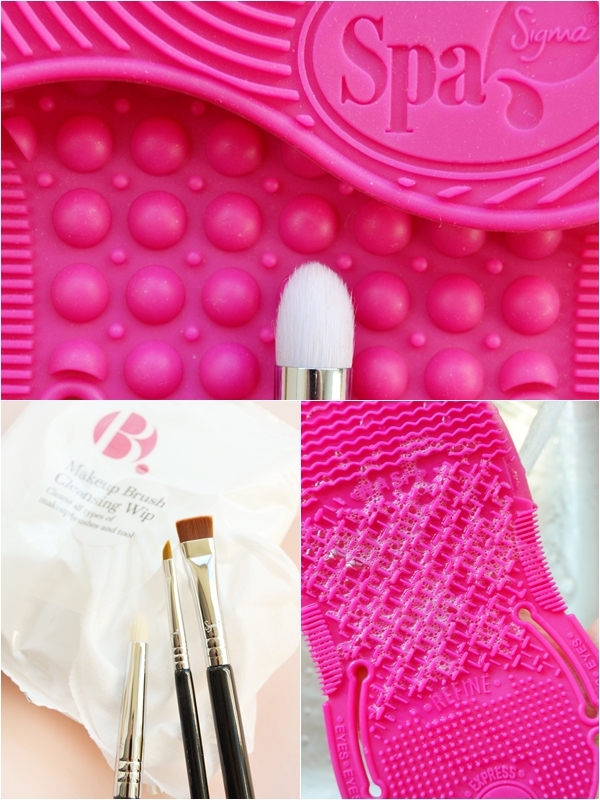 However that was until I recently tried the Sigma Spa Express Brush Cleaning Glove £25.00 Look Fantastic here which gives makeup brushes a deep clean in seconds! I'm not sure I believe all the specific areas to the glove are needed but from first use I was amazed at how quickly it cleaned and rinsed... I'm literally talking seconds! This is much more ideal if you own a lot of brushes to cut down on time and hassle and worth the investment. Hopefully that has covered most things concerning the care of makeup brushes! If you have any other tips I'd love to know them.